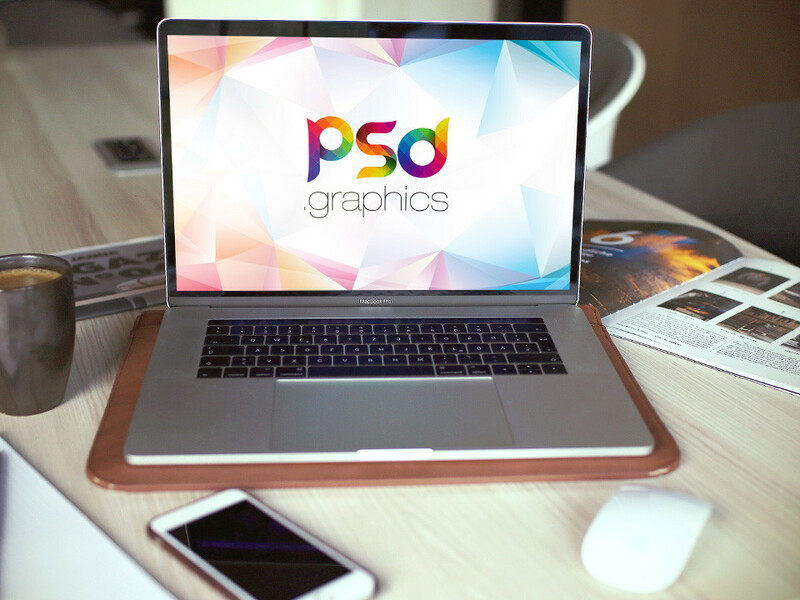 Download Free Macbook Pro in Office Mockup. Macbook Pro Mockup on a wooden desk in a office environment. Smart Object layered to allow you to replace the screen with your own image. Nice work done by PSD Graphics.